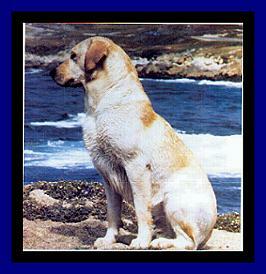 Mandigo, bred by Dr. & Mrs. Bernard Ziessow and owned by Laurell Hand, was one of the most influential dogs in recent history of the breed and truly a multi-purpose Labrador. In the show/conformation arena, he attained his American, Canadian, Mexican and International champion titles, and 1978 World Champion title as well as Best in Specialty Show wins. He earned his obedience title and the advanced working certificate excellent in the field, proving his intelligence, hunting ability and trainability. 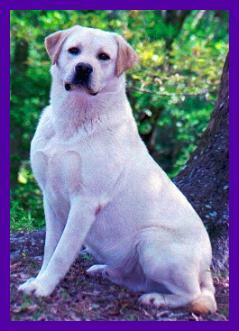 He was a top producer of show champions and performance dogs, including his famous son BIS Ch. 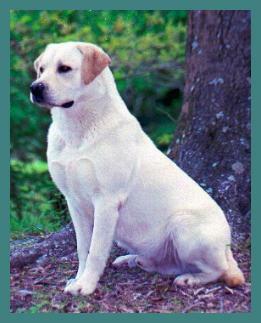 Charisma's Lone Star Rick, the top winning Lab in breed history (with 13 Best In Show wins). A spectacular Labrador Retriever! A beautiful young Mandigo son, "Nash"
who recently attained his Hunting Retriever CH and JH (Junior Hunter) titles ... and first BOB!